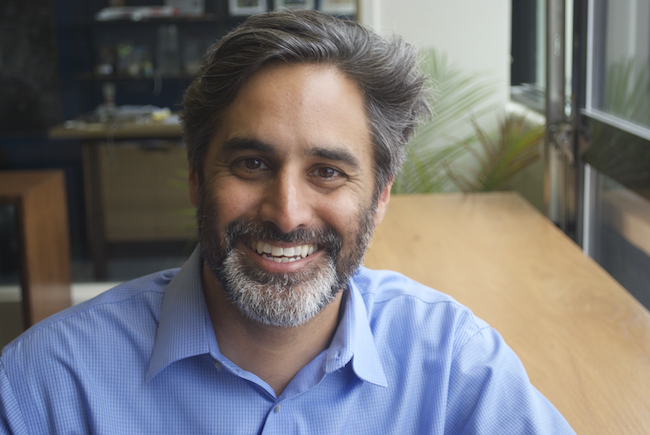 Meet VACEOs member and Covintus co-founder Nick Bawa. He’s bringing significant corporate recruiting experience, custom software development expertise and an award-winning global talent pool to the table to help small and mid-sized businesses tackle their technology challenges efficiently and effectively. Bawa has a passion for startups, telling us, “There’s so much excitement and ingenuity in the startup community.” And it’s not just a distant love affair. Covintus is sponsoring over 50 accelerators this year in verticals that include data/analytics, artificial intelligence, augmented reality/virtual reality, eCommerce, financial services, and transportation/logistics. Bawa has been a VACEOs member since 2007, and describes that experience as “absolutely the best thing I’ve ever done.” We sat down with him to learn more about his experience and his business. Q: You worked for big business before becoming an entrepreneur in 1999. What made you want to take that leap? A: Actually, over 15 years ago, I left a great job as an SAP consultant with IBM Global Services. I was traveling the country working with manufacturing and aerospace and defense companies, implementing ERP systems. I had a bit of unique experience with when and how to apply custom code to off-the-shelf software, so I was increasingly being asked by organizations to help them with their build-versus-buy decisions and help them execute. Q: When you go to a business function, how do you describe what you do? A: We leverage enterprise-level competition winners to build custom software solutions. We operate on a project-by-project basis, which is always fixed price and fixed timeline, with a process centered around transparency and experienced project management. Whether someone is looking for a technology partner or to supplement their current team, we have the expertise. Q: You operate within software design, mobile app and web development, database, and enterprise software development space. Who are your clients? A: We have an amazing array of clients, from startups in healthcare to multinational corporations in the packaging industry. It really makes things interesting, because we’re exposed to so many different industries and stages of business that are all looking to grow. We find that our model really works great for small and mid-sized growth companies. All of our projects are fixed price and timeline, sort of guaranteeing the work we do, which is unheard of. Q: Your talent pool is roughly 500 in size and reaches across eighteen countries. How do you find your talent? A: Technically, we vet the best talent across the world. We’ve been monitoring third-party competitions and selecting the top one percent from those online development communities. These men and women consistently win the competitions they enter and have proven themselves as experts in their fields. They’re looking for someone to trust versus a freelance website. We are that trusted resource. Q: There must be many challenges when working with a global employee base of this scale. What’s the key to managing your workforce? A: Constant communication and feedback. Everyone we work with is accustomed to working virtually, so that isn’t the challenge. It’s more about building strong relationships and trust. Q: It seems you have a soft spot for startups. Is that right? If so, why is that? A: I do, yes! There’s so much excitement and ingenuity in the startup community. A lot of hands go into making a business successful, and in this community there are a lot of great intelligent people looking to lend their expertise and assistance because they are genuinely interested in seeing someone else succeed. It’s uplifting to be a part of this community, and I love hearing about new ideas and helping new businesses. Q: You recently became a certified B Corporation. Why was that important to you? A: It actually began with the work we’re doing with accelerator programs – offering our expertise and filling the need for high-quality software development. Covintus enjoys working with purpose-driven companies and giving them the advantage of an on-demand IT staff. It allows us to build relationships with organizations that share our values and goals of building a more just, equitable and sustainable world.